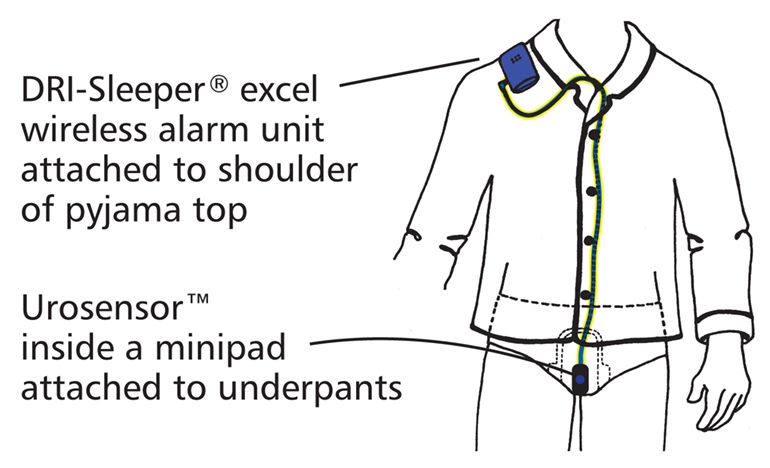 DRI Sleeper® Excel is a body-worn bedwetting alarm with a hi-tech conductive plastic Urosensor™ that triggers the alarm at the first drops of urine. Simple, effective and affordable. 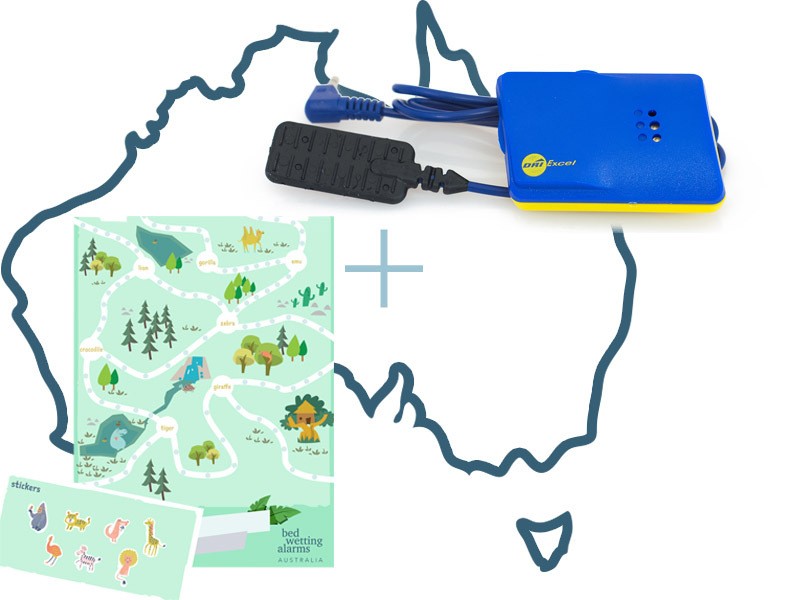 Pack includes Free Training Aid to encourage your child's progress. Its soft and flexible – no hard plastic clips or domes. But the DRI Sleeper® Excel is different, as soon as the Urosensor™ is wet by urine, it triggers the DRI Sleeper® Excel alarm, it starts beeping, and instantly the special alarm electronics isolate the Urosensor™, and no more current passes through the Urosensor™. The DRI Sleeper® Excel alarm unit keeps on beeping, but with no current in the Urosensor™ to make the urine acidic. Therefore no acid, and no risk of skin irritation.